I received a gift certificate from CVS which was used to purchase products for this post. This is not a sponsored post and I was not asked to buy or write about specific topics. All opinions disclosed are my own. 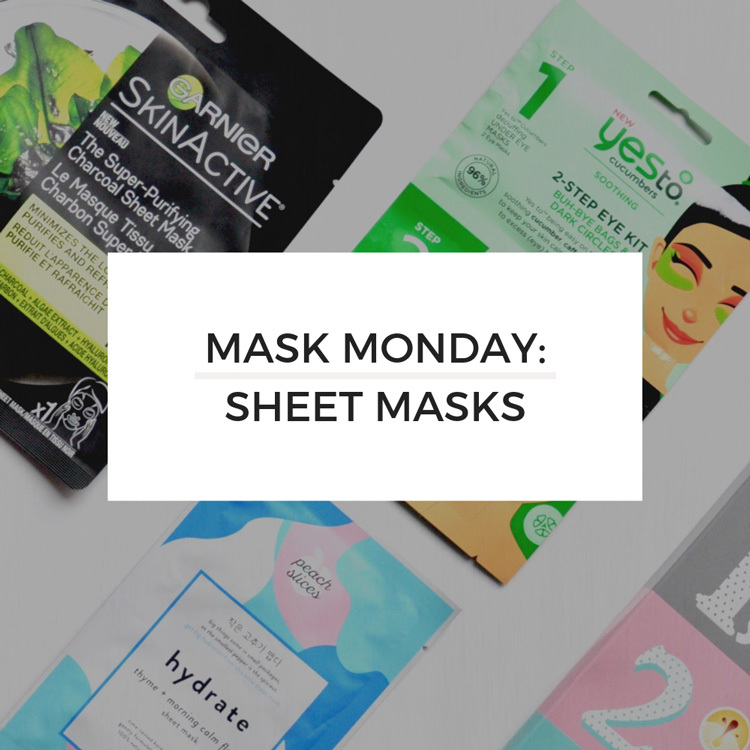 Surprised sheet masks haven’t made their way into Mask Monday yet? Considering there are sheet masks for acne, sheet masks for travel, sheet masks with charcoal, Korean sheet masks, hydrating sheet masks and more, I didn’t know where to begin. I received a gift certificate from CVS which was used to purchase the products in this review. I was not asked to pick specific products, nor was I asked to write a review. I am writing this review to provide real, valuable information to you, my reader. My opinions in this piece are my own. I’m not going to lie, I had a hard time falling in love with sheet masks. Yes, they are fool proof, easy to clean (you just remove the sheet), and travel-friendly. But while they seem cheap (usually costing $2.50 - $8.00), a sheet mask is still a single-use product. The Peter Thomas Roth gel mask costs between $35-50 and I easily get 20 uses out of it. That means I’m paying $1.75 - $2.50 for each single use. And that’s if I only get 20 uses out of the jar - I generally get about 10 more. See my point? And let’s not forget that you look like you belong in a 90s horror flick while wearing one. Although I’ve tried a few sheet masks, I took this as an opportunity to shop around CVS to see what I could discover. 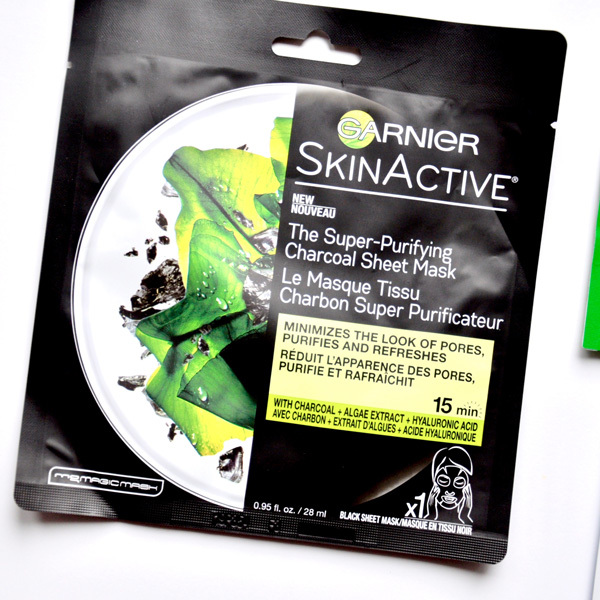 I started in familiar territory and quickly zeroed in on Garnier SkinActive Super-Purifying Charcoal Sheet Mask. Charcoal is a favorite ingredient of mine, so this was an easy pick. The mask did not disappoint! It was incredibly moisturizing, yet still managed to clean my pores. And it currently retails for just over $3.00 so priced perfectly for a single use! 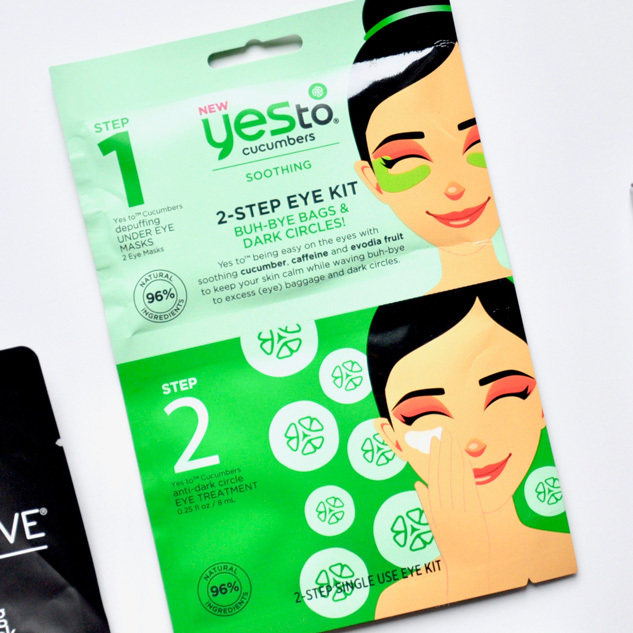 Not too far in the same aisle, I found another favored brand - YESto and picked up their YES to Cucumbers 2-Step Eye Kit. I’ve been burning the midnight oil and it’s starting to show, so this sheet mask aimed at bags and dark circles seemed the perfect fit. I refrigerated the eye mask overnight and applied it after another late night. While my bags didn’t disappear, they definitely diminished and I looked more awake so I’d certainly spend another $4 to buy them again, especially since it’s not something I would use daily. After this, I headed to the newer Korean Beauty area in CVS. This is where KBeauty cult favorites live - like Holika Holika Skin and Peach Slices. I picked up a mask from each to test out at home. 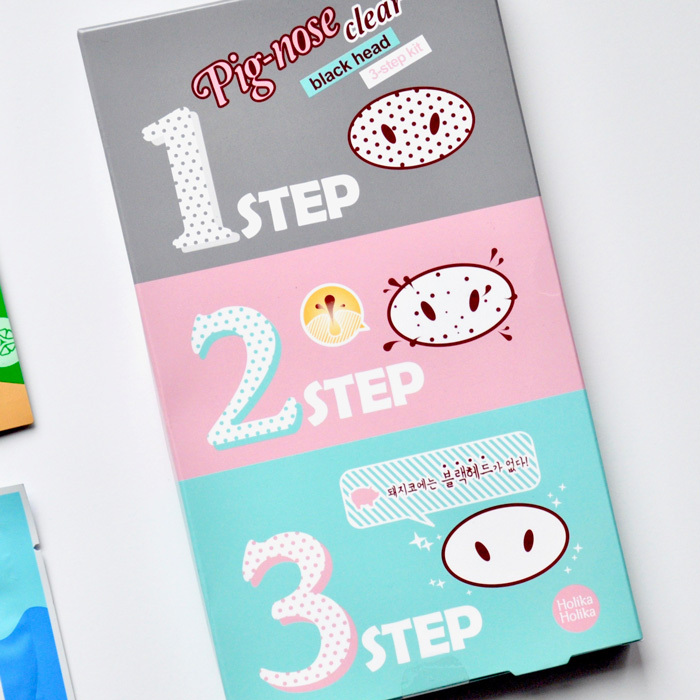 I went with the Pig-Nose Clear Blackhead 3-Step Kit from Holika Holika. While this worked just like it was supposed to, I found it a bit too time-consuming. The whole process took 30 minutes! Given how long it took to use the mask and the price point ($10), I would really only use this for special events. For almost the same price, you can pick up their Blackhead Peeling Gel and that works almost as good. From Peach Slices, I selected their Hydrate sheet mask. If you watched my FacebookLive today, you know my skin has been all sorts of dry from this high/low weather we’ve been having so this sounded like a dream, and it truly was. This brand identifies the mask as an essence, so it’s something you use in the middle of your skincare routine - after cleansing and toner but before lotion. The essence in Hydrate was so hydrating, my skin gobbled up the extra moisture leaving me with beautiful, supple skin. And, once again, this mask is definitely on the more affordable range for a single-use product, averaging just under $2.50. Would I add sheet masks to my skincare arsenal? Yes! While a bit pricier for a single use than a tub filled with product, I like that sheet masks give me the flexibility to treat specific concerns as they arise. And I absolutely love traveling with them - I typically bring Peach Slices Hydrate, Garnier SkinActiv Charcoal, and Yes to Cucumbers eye mask, along with a few others, to treat different skin concerns that might arise whenever I travel. All the masks featured in this story are available at CVS, along with a ton of other sheet masks to choose from! While I did receive a gift certificate from CVS which was used to purchase products for this post, my opinions and thoughts are my own. 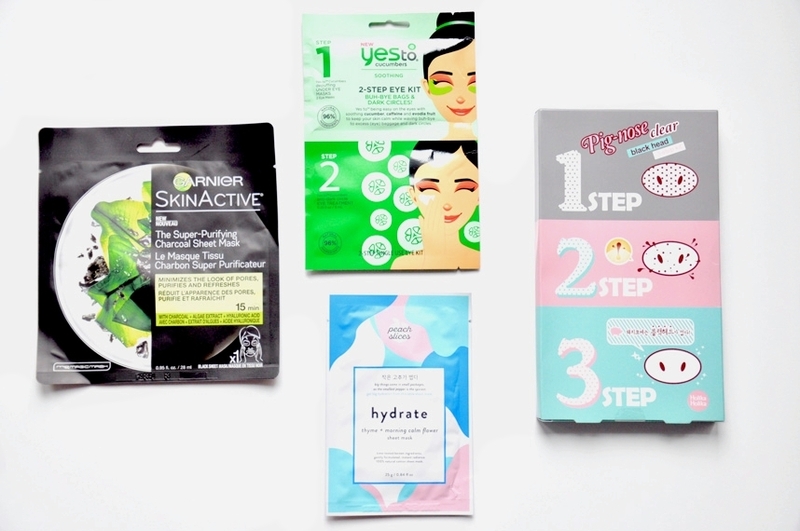 Do you have a favorite brand for sheet masks? If so, let me know in the comment section below!